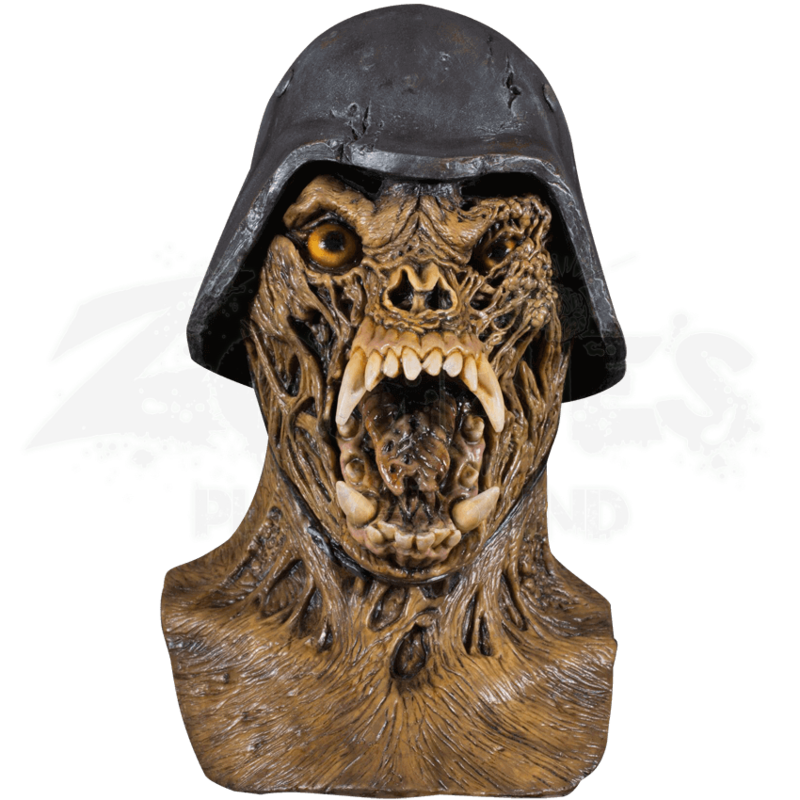 Straight from the John Landis classic film, An American Werewolf In London, comes the Nightmare Demon Warmonger Mask. 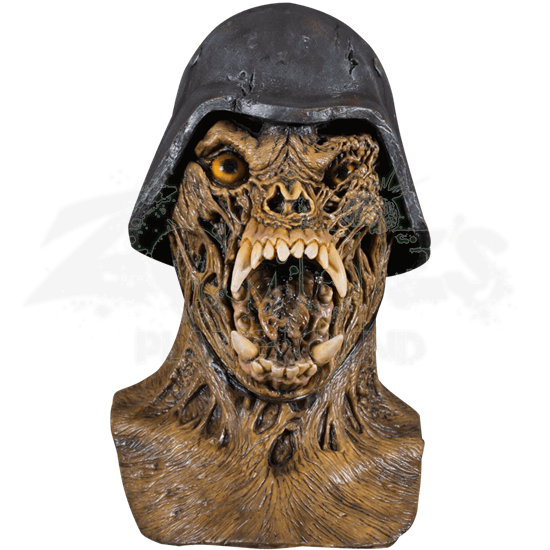 This licensed mask made of latex is based on one of the most recognizable and terrifying scenes in the entire film. The Warmonger character appears in the scene where really bad historical guys come out as mutated demons during a nightmare that David has. Those mutated demons proceed to breakdown his door and blow away an entire family. This mask looks just as terrifying as that nightmare sounds. The detail and paintwork is incredible and it comes with the attached hat. All you need with this mask is a military uniform and you are ready to send Londoners in chaos running with fear.